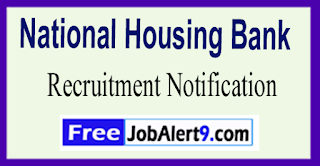 National Housing Bank Has Released Recruitment Notification For Various Consultant (Premises) Posts. All Eligible And Interested Candidates Can Apply Online.Further Detailed Information Regarding Educational Qualifications, Age Limit, Selection Procedure, Exam Pattern, Syllabus for National Housing Bank Recruitment 2017 - Various Consultant (Premises) Post is mentioned below. Age Limit - Candidates upper age limit should not Exceed 62 -Years As on (01-05-2017). How To Apply - All Eligible & Interested candidate fill the online application through official web-site (http://nhb.org.in). before/ (2nd June 2017). Starting Date of Online Registration of Application Form Is- 19-05-2017. Last Date To Apply Online Is - 02-06-2017. 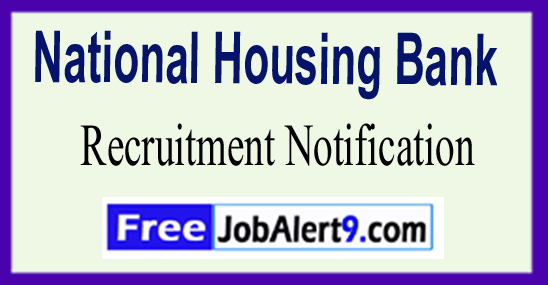 Click Here For National Housing Bank Recruitment 2017 Detailed Advertisement.